I am just going to say it. The internet as we know it cannot exist without URLs. That your favorite YouTube video, funny Buzzfeed article or even the latest version of your most loved app can never be accessed without URLs. Most webmasters prefer to call it "links" some of the times. It was because of the kind of influence they have over the whole web that Google launched a link based search algorithm that completely "changed" the history of the internet. And as people who constantly dream and work towards having our content ranked on the top spots of Google, we cannot undermine its role. In the 200 ranking factors published by Brian Dean of Backlinko, URL optimization for search engines takes up positions 46, 47 and 51. If not anything, it shows that it is a little but mighty on page SEO tip that should not be overlooked at all. 90% of bloggers who recently joined the boat of blogging make this mistake. They think that it is not as important as getting backlinks. 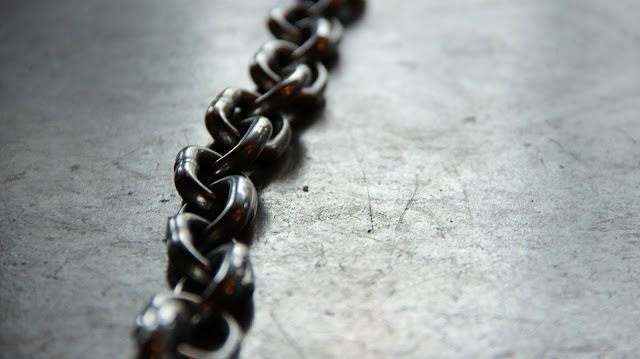 Yes, link building is a very important content marketing strategy. But if your links are confusing to both search engines and humans, you will get little to no results out of those backlinks. If you stick with me throughout this article, you will learn the 12 working strategies that you can use to optimize your articles for both the search engine bots and your lovely audience. Before we begin, it is necessary that you take note of this warning. Why I am saying it now is that most of you are likely to abandon the article midway to start revamping your website. While that is a good move (compared to those who don't take action), I strongly advise against that. Any single change that you make on your web page's URL is going to affect your traffic big time. This is true regardless of your source of traffic - search, social media, email and even the direct traffic. They are going to result in 404's which will make your website visitors to bounce off thinking that the information that they need is no longer available. If I were you, I will leave the old URLs as they are and apply these URL optimization tips on new contents that I will create. However, if you must change it, you must have use to 301 redirects. We discussed it as one of the URL optimization tips below, check it out. Whether or not you create a website with a top level domain like .com .org isn't necessarily a ranking factor. However, you should note that it is capable of impacting your rankings indirectly. A large part of what we do as SEO focused webmasters is to ensure that users trust our website. And all these talk about time on site, click through rate, social media shares e.t.c by different search engines is attempt to capture what the users really like at a particular moment. In the end, everyone including the bots are concerned about the users. As it turns out, lots of research have shown that users are more likely to click and visit the URL of a website ending with .com, .net, or .org. When websites end with .pro, .club, or .reviews, most users consider them as spammy. If you want a more practical example of this, you can take a look at the top search results for a lot of queries on Google. What you will discover is that about 80% of the websites ranking on the first page of Google are all sites with top level domain names. I am not saying that your business is doomed if you don't get a website with a top level domain. I am just saying that you are leaving a lot of traffic on the table by reducing the number of people who "can" trust your website. When your trust factor is low, your engagement rate will also be low. And when that happens, you wouldn't enough links to get you to the top spot of Google. Taking this into perspective, SearchEngineLand published an infographic which noted that having a top level domain is a plus in optimizing your URLs for the search engines. Even if you are not concerned about your rankings on search engine result pages, telling you that getting low level domain names will negatively affect your business brand. This is normally the case when someone else purchases the .com version of your website name. Once that happens, people will buy from your competitor thinking that they are buying from you. You really don't want to compete with someone on your own brand name. According to Statista, cybercrime had led to the loss of 1 billion dollars from the revenue of the residents of United States alone. This became a very serious problem in the world wide web that most online shopping guides sternly warn its readers to only buy on websites that have https installed. Google came out publicly and announced that "all things being equal", websites with https will start outranking websites that don't. In fact, there was a time some browsers start placing interstitial messages saying " This website is insecure, it contains some malwares that are likely to steal your personal information " on webpages that are not https enabled. Also, some webmasters do not currently approve comments with links to unpopular websites that doesn't have https installed. To get it installed on your website, you need to learn the ins and outs of the whole process and then buy it. Most web hosting providers do sell SSL certificates these days, it will be cheaper if you buy from them. The message is clear, you are doing your website a lot of good if your secure with https encryptions. This is especially important if you have a website where the users are expected to buy or give out some sensitive personal information. That way, your website will have a high conversion rate because the visitors trust it. This isn't anything new at all, Google makes use of lots of historical data while ranking web pages. Therefore, as part of your strategies in optimizing your URLs for higher rankings, endeavor to stick to one root domain or subdomain. This will make you not to loose the "age juice" associated with whatever you have been using before. While submitting your website to Google webmaster tools, you have the option of choosing the naked version of your blog's domain name or the www version. Over time, Google will continue to compile all the clicks, time on site, and other data that are not publicly available about your site. These data help them to know where your website should rank on the SERP. Therefore, when you suddenly decide to change your website from a subdomain to a root domain or vice versa, you might lose some of the data previously associated with your website during the move. If you have a good eye, you must have noticed that most web pages that rank number one on Google for a particular keyword normally have that keyword in their URL. It is highly recommended that you do that because it will help to give the users an idea of the web page that they are about to click its URL is talking about. This feature is called "metafilter" and it is quite useful if a page is linked with an unrelated anchor text. Also, if you receive a backlink without an anchor text, those keywords in the URL will then serve as the keyword. This technique comes in handy during link building which requires diversification. When someone performs a search on Google, they are more likely to click on a URL that contains all the words they used in their search query. While it is a good idea to have a keyword rich URL, you should avoid stuffing other keywords that are irrelevant to the page into it. This rule is not set in stone (if it is a rule at all). Google and other search engines have become too advanced to take this as a problem. But that doesn't mean that you should get your URLs to exceed 100 characters. At that stage, it is most likely to be flagged as spam by search bots. 50 to 60 characters is the recommended character length. The key is to craft something that will topically represent what that page is talking about. Most times, it is considered to leave your blog post as its permalink. URLs are the basic building blocks of SEO. So, before you press the publish button, you have to make sure that you have taken proper care of it. Omitting things like that can make your content not to recieve the kind of attention that it deserves. And when that happens, your traffic will tank. Want more URL optimization tips? Well, that's all for now. If you feel like there's something that I missed, scream at me below in the comments.